In 1991 the Wetaskiwin Icemen Hockey Team was formed and their Mission was to provide young athletes between the ages of fifteen and twenty-one the opportunity to develop their knowledge and skills in the game of hockey, and to assist young persons in the advancement of their educational and occupational goals, so as to produce well rounded, community oriented leaders of sound character and integrity. This year marks the 25th Anniversary of the Icemen Hockey Association and in the twenty-five years of the team’s existence over 400 players have had a chance to play Junior B hockey in Wetaskiwin. Also, about twenty players have been awarded over $15,000 in scholarships. The 1991-92 Iceman Team is being inducted not only because it was the first team but because it was the most successful in the team’s history and laid the groundwork for the teams to come. In the late 1980’s, there was a large number of excellent and enthusiastic midget hockey players in Wetaskiwin, but no local team for them to play on once they turned seventeen. These players had been very successful at the Bantam Level and had won consecutive Provincial titles in 1986-86 and 1987-88. In fact, these two teams were inducted into the Wetaskiwin & County Sports Hall of Fame in 2011. Nine of those Bantam team members were on the 1991-92 Icemen Hockey Team. 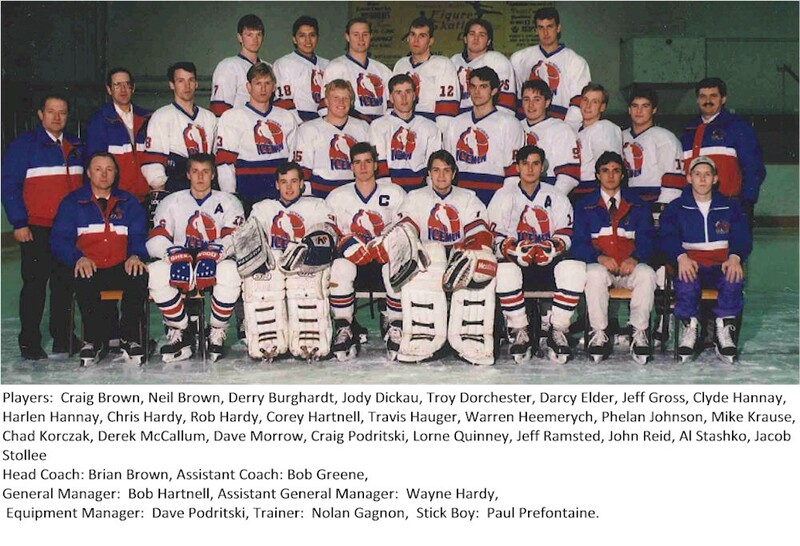 Twenty-one players on the 1991-92 Icemen Team came through the Wetaskiwin Minor Hockey Association programs. The 1991-92 Icemen Team was very competitive considering they were a first year team in the Northeast Junior Hockey League. They were embraced by the community and over 700 fans were on hand for their home opener. Brian Brown had led the boys in their Bantam Provincial titles and because of his coaching credentials, his brand of leadership, and his winning history he was chosen as first coach of the Icemen. With coach Brown at the helm the team practiced hard, traveled much, and as well maintained great discipline and tenacity in order to keep improving. They had strength throughout the team from goal-tending to solid defensemen and a great group of up front skaters. In exhibition games before the league play commenced the new Icemen were undefeated. The team ended the regular season with an impressive 31-5 win-loss record for a solid second place finish in the league. They attended numerous tournaments throughout the hockey season, were very competitive at all events, and won the Calgary Invitational Junior B Tournament. The Icemen were well represented at the League All Star game in the middle of the season. Five players, two coaches and one manager traveled to Lloydminster to take part in the league’s All Star Game. In the quarter-finals of the league playoffs they defeated Slave Lake and in the semi-finals defeated the Vegreville Rangers. They went undefeated in both series and advanced to the league finals against the Lloydminster Bandits who were the defending League and Provincial champions. In the league finals the Icemen won the first two games against the Bandits. As the playoffs continued, the Bandits won the next two games to tie the series and then each team won one more game taking the finals to game seven. After a great battle the Icemen lost 5-2. Lloydminster advanced to the Provincials and then to the Western Canadian Championships. They won both series without a loss. In the 1991-92 season, the Icemen were the only team to defeat the Bandits. Examining the roster of the 1991-92 team, one would see a large number of individuals that went on to coach and referee hockey in minor, junior, and senior hockey leagues thus giving back to the sport they loved and to the organization that allowed them to play this great game. 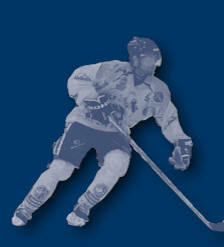 After four years in the North East Junior Hockey League, the Icemen joined the Heritage Junior League for two years. For the last nineteen years the Icemen have played in the Capital Junior Hockey League. The Icemen teams play and participate in the spirit of competition, some rivalry, and great sportsmanship. 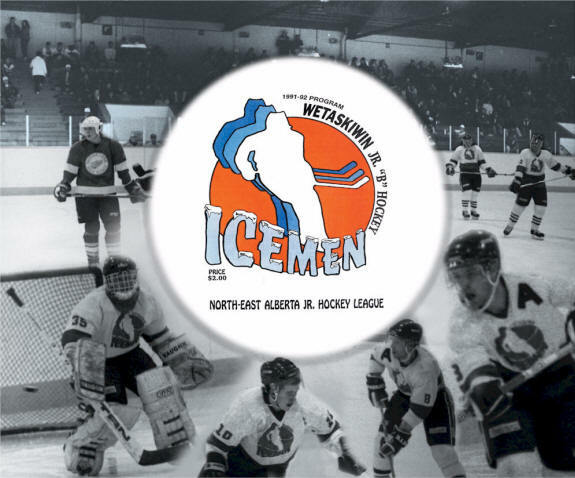 In the fourteen team league the Icemen have represented Wetaskiwin well and have acted as dedicated and proficient athletes as well as good ambassadors for the City of Wetaskiwin. To date the Icemen have the largest fan and sponsor support in the league. They average close to 200 people at every game and in play-offs they have filled the arena. The formation of the Icemen Junior B Hockey team filled a void in the Wetaskiwin community and this successful organization inspires and provides role models for the younger hockey players of Wetaskiwin. We congratulate the Icemen organization for their efforts during the last twenty-five years and their contribution to Wetaskiwin’s sporting community and history. The 1991-92 Icemen provided the community with an exciting brand of hockey and their sportsmanship, their tenacity in playing the game and their achievements set the tone and provided a positive example for the teams of the next twenty-five years. It is with great pleasure that we induct 1991-92 Icemen into the Wetaskiwin & County Sports Hall of Fame.